Yesterday, the Supreme Court issued its decision in Global-Tech Appliances, Inc. v. SEB S.A. (No. 10-6), which affirmed the Federal Circuit’s decision that Pentalpha Enterprises, Ltd. induced infringement in violation of 35 U.S.C. § 271(b) under a willful blindness theory. Justice Alito wrote the decision for the 8-1 Court, and Justice Kennedy dissented. 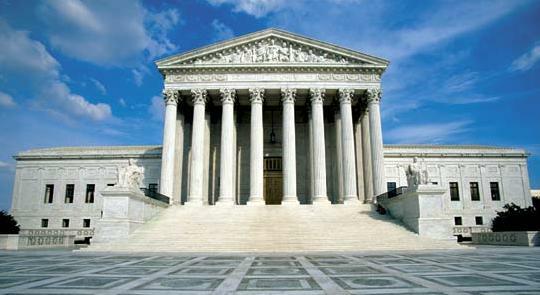 The Global-Tech decision is one of a number of recent Supreme Court decisions in the patent arena. In this case, the Court considered what level of knowledge a party must have to actively induce infringement of a patent under § 271(b). The statute states “Whoever actively induces infringement of a patent shall be liable as an infringer.” The Court found that inducement is an active enterprise that requires the taking of affirmative steps to bring about a desired result. The Court recognized that there are two plausible readings of this statute: (1) one can be liable for merely leading another to perform acts that happen to lead to infringement or (2) one can be liable only for leading another to perform acts that the inducer knows is infringement. After tracing the history of contributory infringement, the Court rejected the first approach and concluded that § 271(b) requires knowledge that the induced acts constitute patent infringement. This knowledge requirement can be satisfied not only with direct knowledge or belief that the acts constitute infringement, but also with willful blindness to this fact. The Court recognized that this willful blindness standard could easily be confused with recklessly or indifference, so it took some care to distinguish these concepts. Willful blindness has two basic requirements: “(1) the defendant must subjectively believe that there is a high probability that a fact exists and (2) the defendant must take deliberate actions to avoid learning of this fact.” In other words, “a willfully blind defendant is one who takes deliberate actions to avoid confirming a high probability of wrongdoing and who can almost be said to have actually known the critical facts.” In contrast, recklessness only involves knowledge of a substantial and unjustified risk of wrongdoing without the deliberate actions. Negligence is even further removed, as it involves a defendant that should have been aware of a risk but who was not aware. The Court rejected the Federal Circuit’s formulation that permitted a finding of knowledge when there was simply a known risk of induced infringement without active efforts by the inducer to avoid acquiring actual knowledge. Going forward, this case confirms that liability for indirect infringement requires some intent or knowledge of infringement, as opposed to just the facts that might happen to give rise to infringement. It is not enough for liability that an inducer expects or intends that another act in a certain manner unless the inducer knows that those actions will likely result in infringement of a patent. Normally, this will require some actual knowledge of the relevant patents. The exception was addressed in this case, though. An inducer cannot willfully blind itself from finding out whether relevant patents exist. Going forward, there will undoubtedly be additional district court and Federal Circuit decisions that flesh out what is and is not willful blindness and what is and is not deliberate actions. Parties that produce products or direct others to act in ways that arguably intrude on another’s patent rights can take some proactive steps to protect themselves from liability for indirect infringement. Because induce to infringe requires knowledge that the acts constitute infringement, obtaining a competent opinion letter from a qualified patent attorney should preclude liability. As this case makes clear, though, the patent attorney must be given relevant knowledge about the field of the product or service in order to conduct a reasonable search. The patent opinion must not be simply a false effort to create plausible deniability. Despite determining that the Federal Circuit applied the wrong standard, the Supreme Court affirmed its decision, finding that under the facts, Pentalpha willfully blinded itself to the infringing acts. SEB invented and patented a “cool-touch” deep fryer whose outside surfaces remained cool during use. Sunbeam Products, Inc. asked Pentalpha (a wholly-owned subsidiary of Global-Tech) to provide it with deep fryers. Pentalpha purchased an SEB deep fryer in Hong Kong that was not marked with the US patent numbers, which is not unusual for products sold overseas. Except for the cosmetic appearance, Pentalpha copied SEB’s design. Pentalpha retained a US patent lawyer to conduct a patent search, but did not inform the lawyer that Pentalpha had copied SEB’s design. The patent lawyer did not locate SEB’s patents, so he issued a non-infringement opinion letter. Pentalpha then sold its deep fryer to Sunbeam. After SEB sued Sunbeam, Sunbeam notified Pentalpha of the lawsuit. Despite having notice of the lawsuit, Pentalpha continued selling its deep fryer to other customers. SEB sued Pentalpha after settling with Sunbeam under direct and indirect infringement theories. After a 5-day trial, the jury found that Pentalpha willfully infringed SEB’s patents. Pentalpha appealed, arguing that it had no actual knowledge of infringement. The Federal Circuit rejected Pentalpha’s argument and affirmed the jury’s finding, reasoning that Pentalpha deliberately disregarded a known risk. As discussed above, the Supreme Court affirmed, finding that there was no legitimate reason for Pentalpha to not tell its patent attorney that it copied SEB’s design. The only reason the Court could find for Pentalpha doing this was to manufacture a claim of plausible deniability, which was tantamount to willful blindness. The Court saw no need to remand on these facts, although the dissent felt that was the more appropriate action. This entry was posted in Patents and tagged indirect infringement, induced infringement, patent, patent litigation, pittsburgh patent litigation, Supreme Court Patent Decisions. Bookmark the permalink.